Adoptions are expensive and most people do not understand why. When there are orphans around the world needing families, why is it so expensive to give them a forever family? We wish it weren’t so. At Nightlight, we try very hard to keep the costs of adoptions as low as possible while providing our clients with trustworthy and competent services. Adopting families generally cover the costs of their own adoptions. The cost of the supporting personnel necessary to maintain domestic and international programs cannot be born entirely by families using the agency’s services. 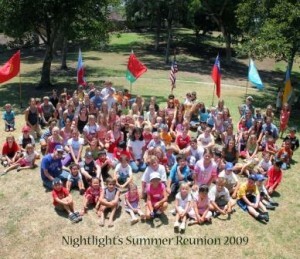 Nightlight’s mission is to help children and they certainly are in no position to pay their own way. So we ask you to help Nightlight continue to serve children and families and advocate for life from conception. Expanding our outreach to women with unplanned pregnancies — did you know less than 2% of single women who give birth, place their child for adoption? Helping fund our orphan care ministries staff – both U.S. and abroad. Funding our reserve to maintain long-tern financial stability – in the face of a challenging world. Providing advance funding to begin new international programs. Supporting our post adoption services to help children and families through those rough patches. Donating for special activities and events that raise funds and provide great fellowship opportunities. You can designate the area of interest or just select General Donation in the drop down menu.